The sun is out and the NEW scarves are in the shop! I'm so pleased with how they came out. 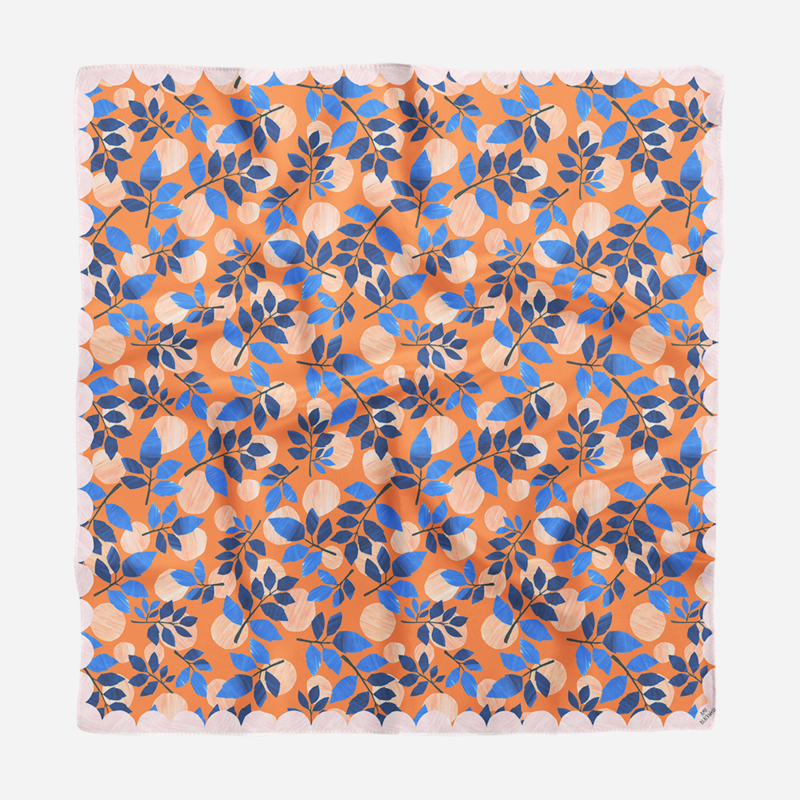 Lovely light weight crepe de chine scarves available in 2 new designs. They measure 90cm x 90cm. Printed locally here in England. Head on over and treat yourself, they're super duper limited edition. Just updated the shop with a few new earrings and necklaces! I've also just received a whole batch of beautiful new wooden beads so I bet you can't guess what I'll be doing today!! Well THIS is a bit exciting... I got some fabric samples back and to celebrate I've just made all of the patterns available to purchase through my spoonflower shop! During the pattern project I set myself last year so many of you requested fabric and it's always been something high up on my ever growing 'to do' list. I was over the moon when my samples finally arrived and my brain is literally buzzing with projects and possibilities. If you're interested in getting creative and treating yourself to some new fabric for your stash or a new sewing project you have lined up, here's a link! I've also popped a handy little link to my spoonflower shop on the menu bar of my site for easy access. I reckon I'm going to be switching around availability of certain designs - mainly to keep the selection fresh and up to date with current work but I haven't properly decided just yet. So I thought I'd make them all available for the time being. I'm still churning out new patterns and revisiting older ones from earlier in the pattern project so expect plenty of updates! ps - ANYTHING you do make please send me photos, I would love to see what you do with these designs! !